The Gallia Chamber of Commerce named Ohio Valley Bank President and CEO Tom Wiseman as this year’s Bud and Donna McGhee Award recipient. 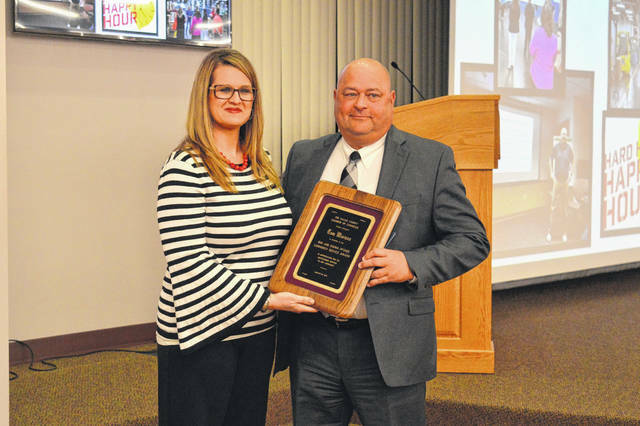 The award was given at the annual Gallia Chamber of Commerce Awards Ceremony Thursday evening and is traditionally kept secret until the night of the function. It is considered the highest honor the Chamber bestows upon a community member. Pictured, Wiseman stands with Chamber Past Board President Meagan Wood.